This time of year, everyone is shopping for the special people in their lives. Traditionally, men are really hard to shop for. You may be nodding your head right now as you read this. They usually have everything they need. And there are plenty of websites offering things for sale for the man that has everything, but they are usually a gimmick, not a statement of love that will last a lifetime. One of the items we offer that is a perfect answer for the man you love most, are custom designed and personalized cufflinks. 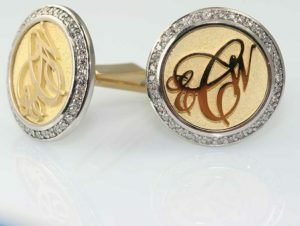 These cufflinks are not pre-made cufflinks that we slap a monogram on. These are one-of-a-kind items that are designed, individually cast and hand finished. Every detail is perfect. The process begins with a consultation with Karen, our in-house artist and CAD designer (CAD stands for Computer Aided Design.) The conversation is about what you are trying to accomplish with the shape, size, metal and more. Karen creates a model and prints it in a type of wax that you can touch and feel before giving your final approval. Once we have that, we move on to casting. 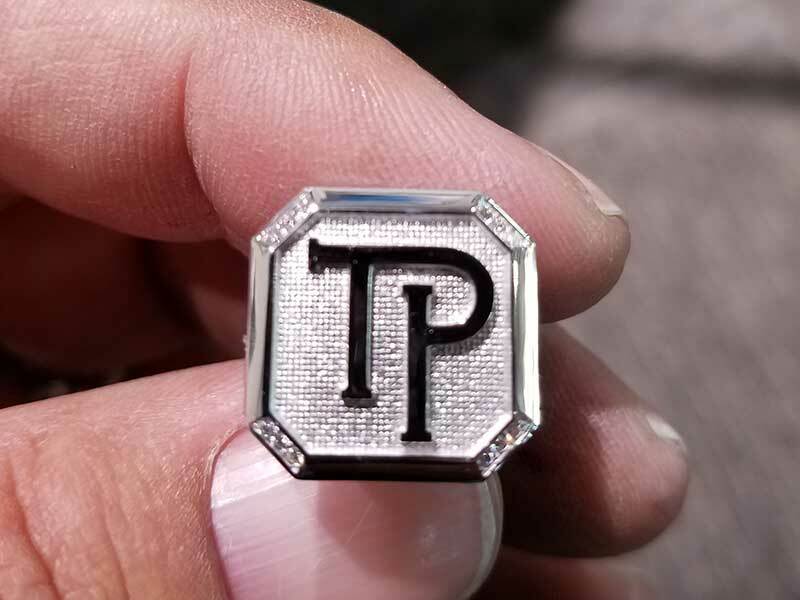 Whether you’re wanting to capture his initials, favorite pastime or hobby, or something else that is unique or sentimental, Karen will help you design something that’s inspiring. 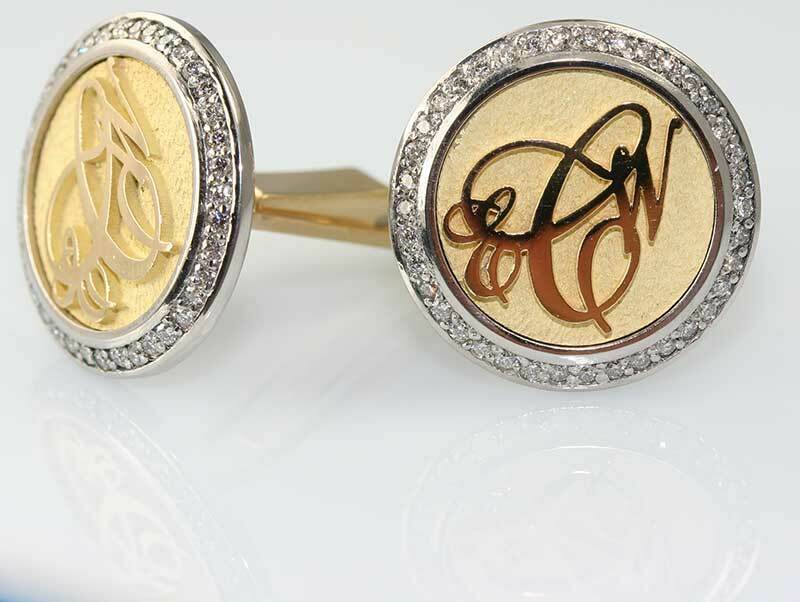 For some of our clients, these cufflinks have become a family heirloom that is passed down within the family. Think of the look on his face when he opens that tiny box with something he can’t buy for himself. Something that tells him how much you love him! Happy Thanksgiving from House of Diamonds! Merry Christmas from House of Diamonds!